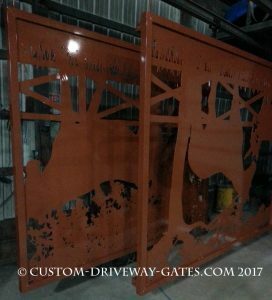 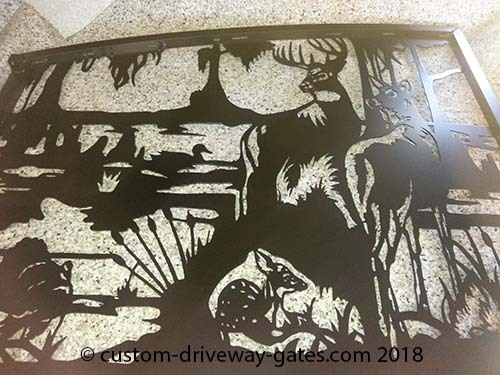 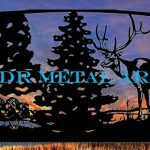 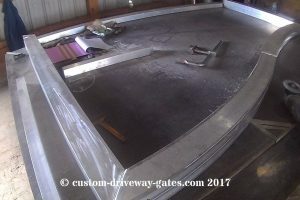 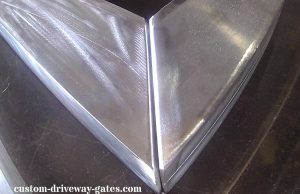 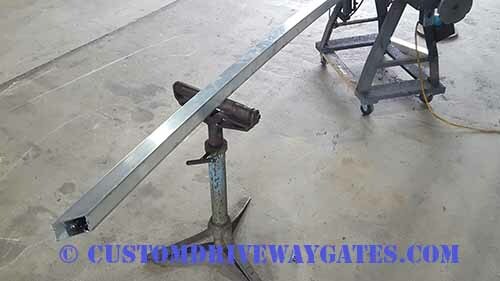 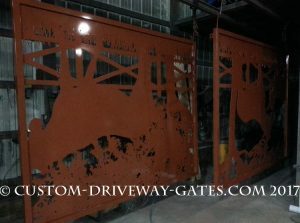 aluminum driveway gates-1 Archives - Custom Driveway Gates - Iron Steel & Aluminum - JDR Metal Art - FREE Standard Shipping! 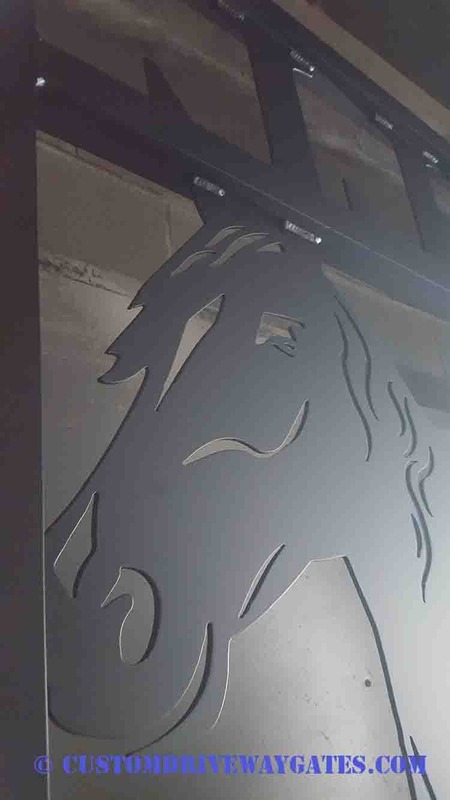 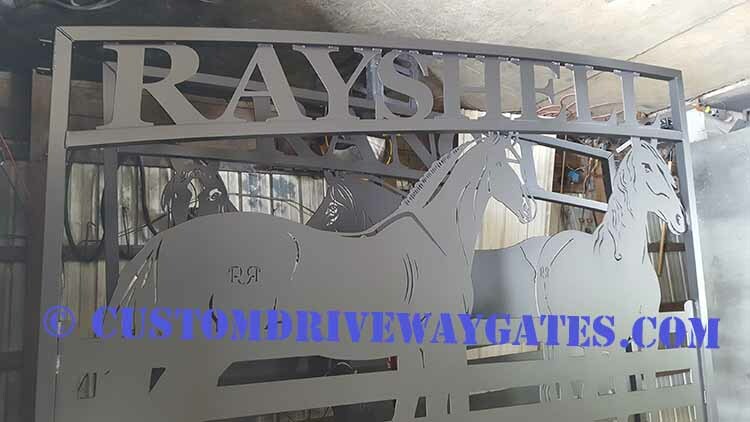 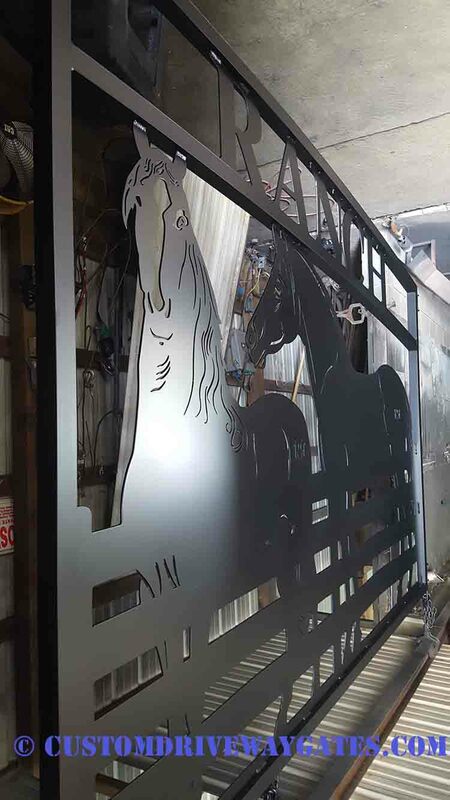 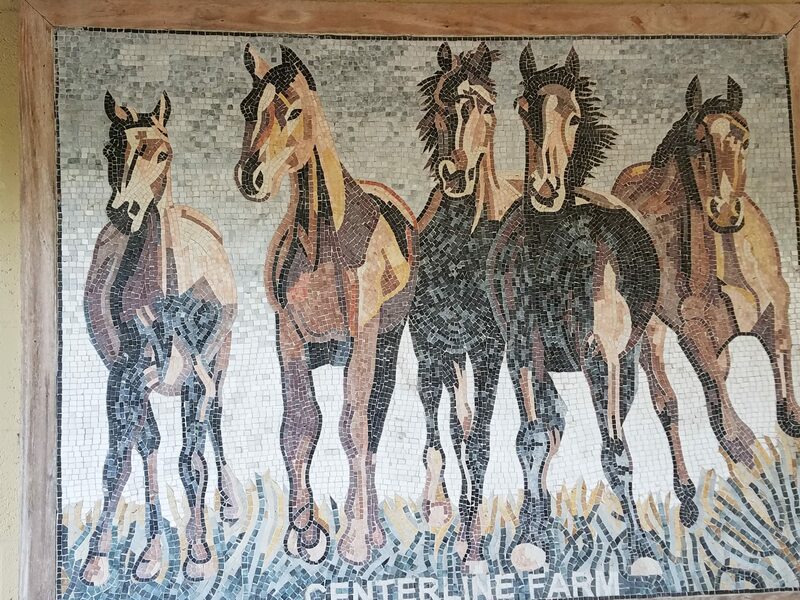 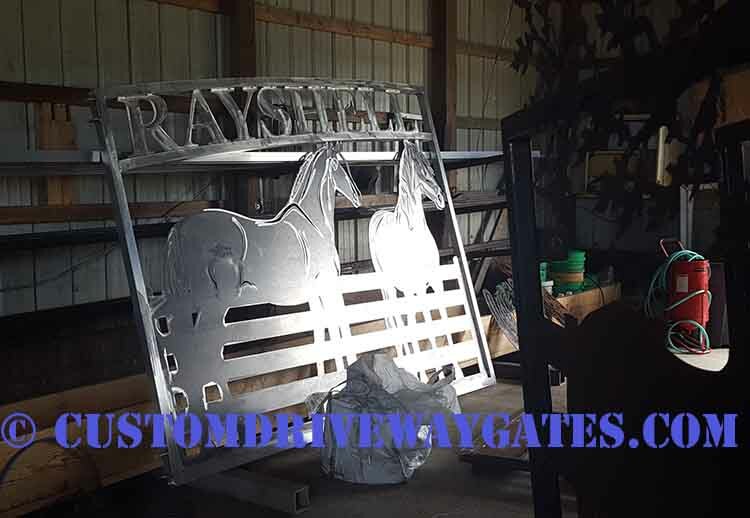 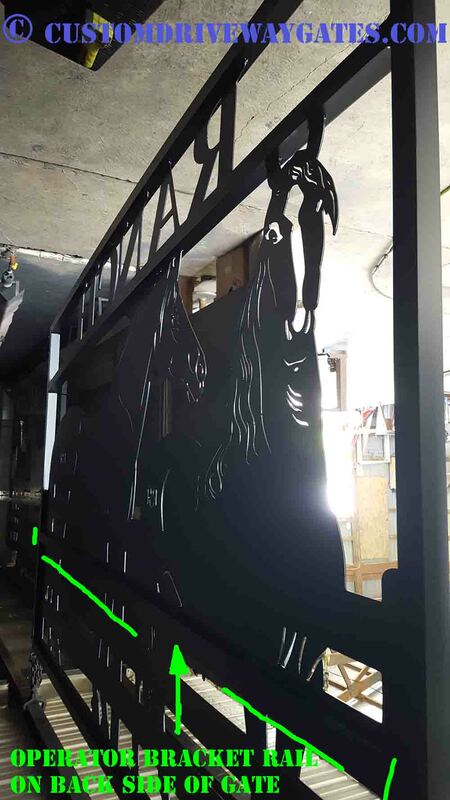 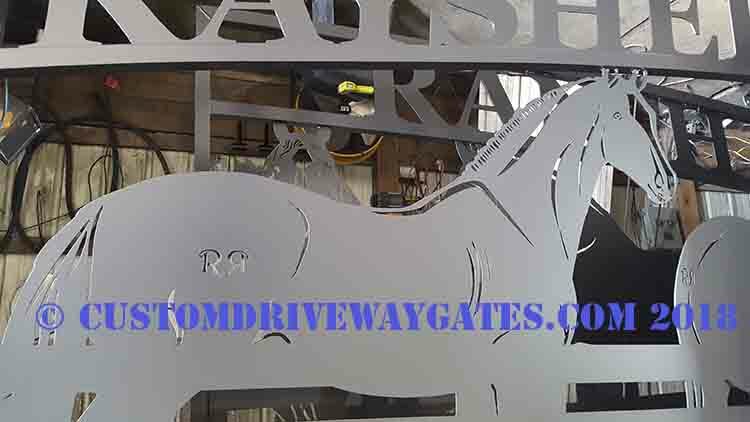 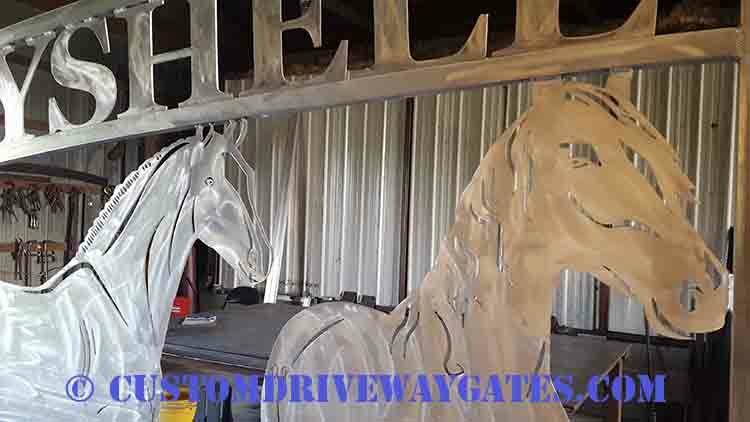 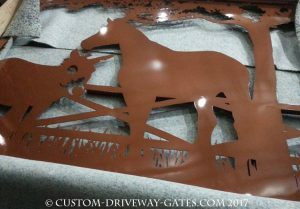 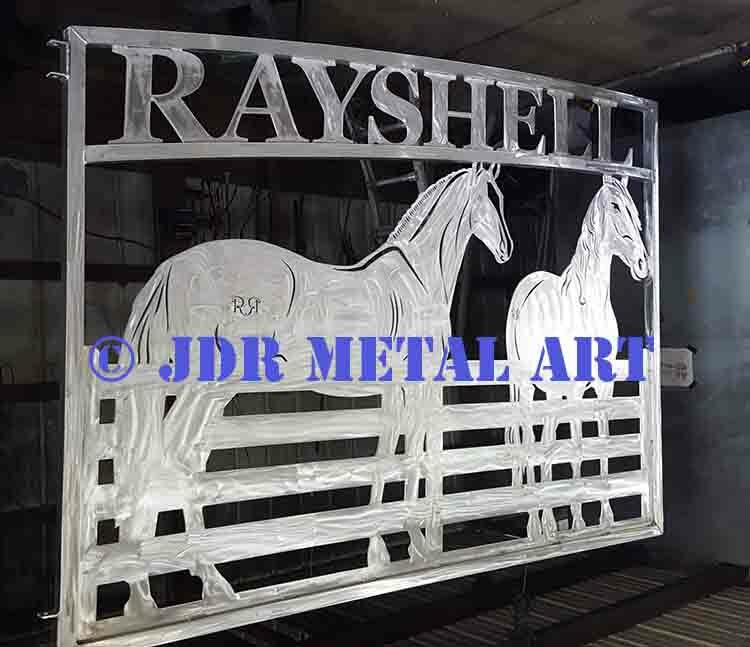 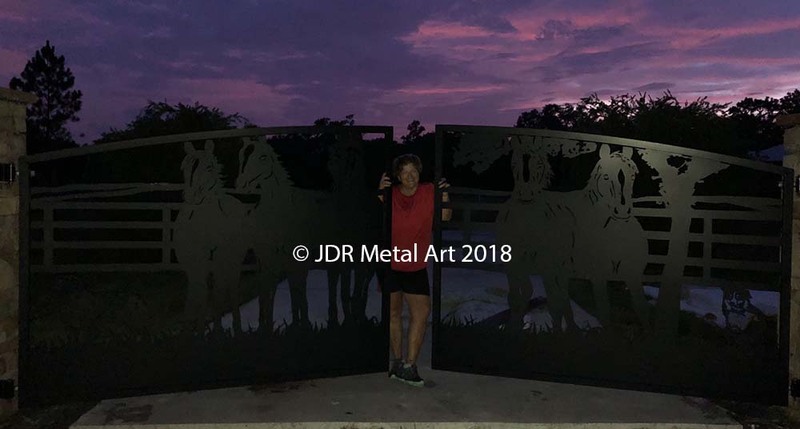 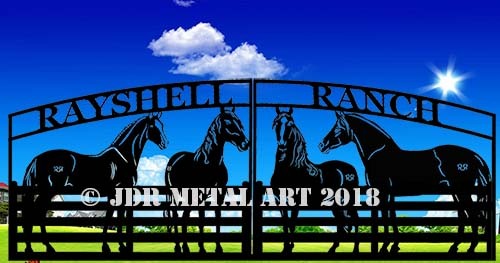 Driveway gates for Boca Raton, Florida horse ranch that are custom built from aluminum by JDR Metal Art. 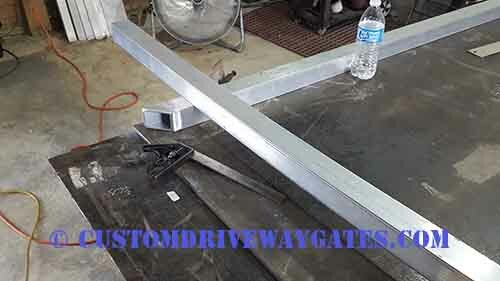 The frame consists of 2″ square tubing aluminum. 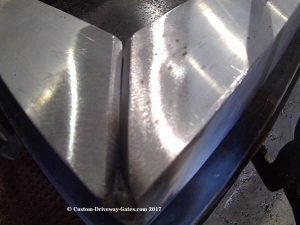 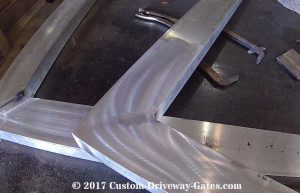 The arches are rolled from tubing with 1/8″ wall thickness. 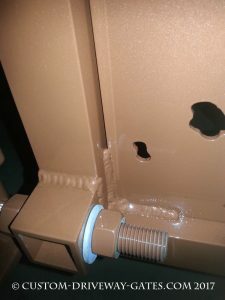 The bottom rails, hinge rails and inside vertical rails are all 3/16″ wall thickness. 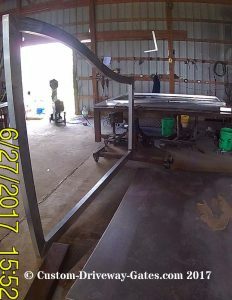 In the picture below you can (somewhat) see the spool gun used to join the aluminum artwork cutout to the aluminum frame. 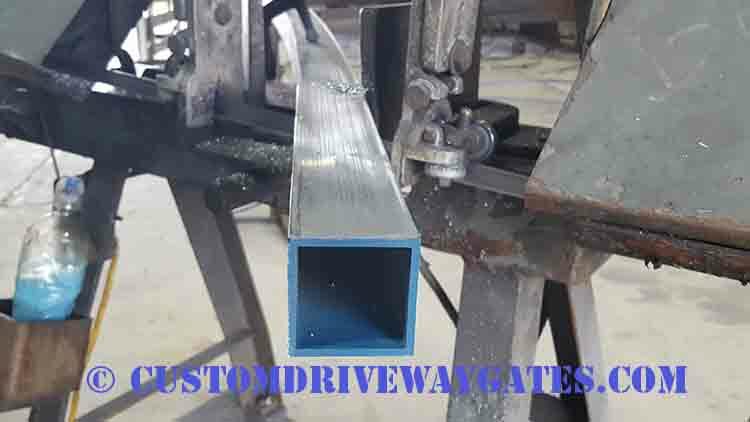 Since the aluminum wire is so soft it can be fed only a short distance, hence the reason why the spool of welding wire is practically handheld. 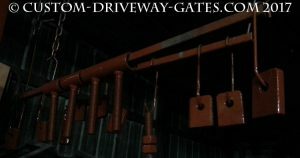 1/4″ thick aluminum C-brackets accommodate sealed bearing hinges. 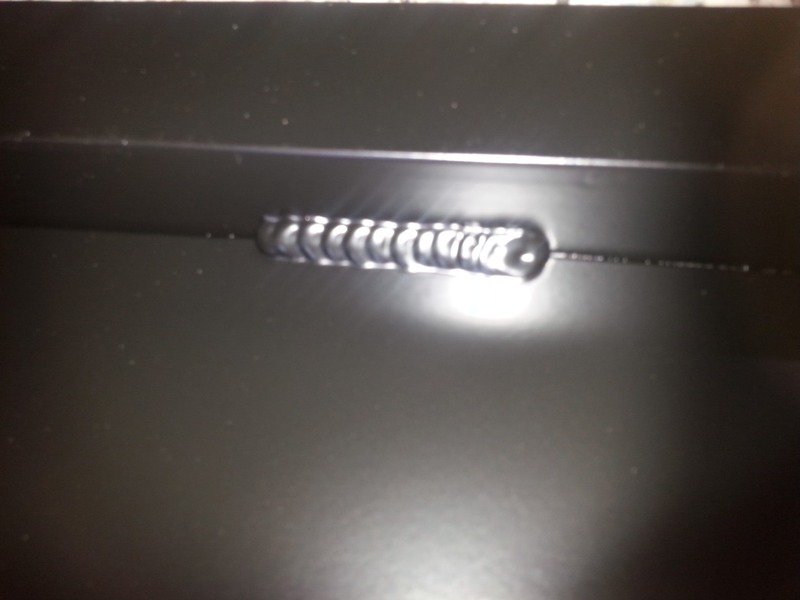 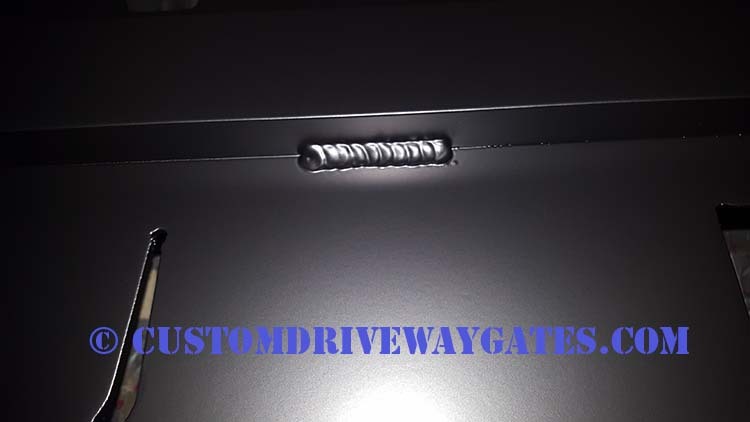 A 5/8″ thick grade 8 hardened steel bolt holds the hinges to the gate. 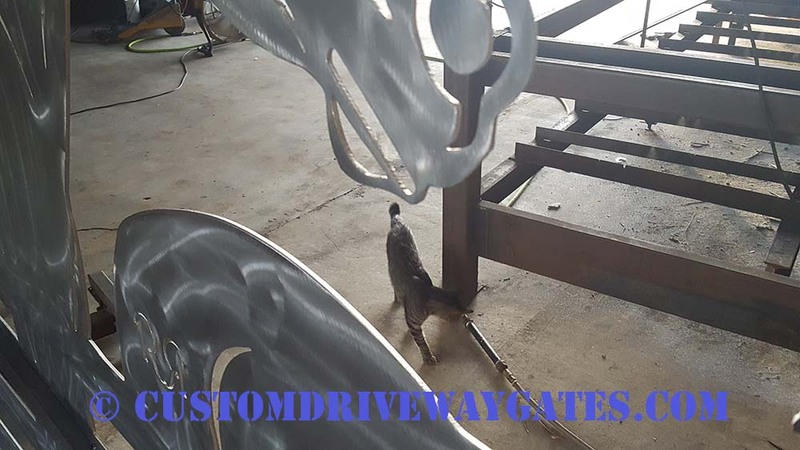 Threaded rods protruding from the hinges go through the client’s aluminum posts and provide the means of adjustment to perfectly level the gates and also to adjust the center gap to the desired width (typically 1″). 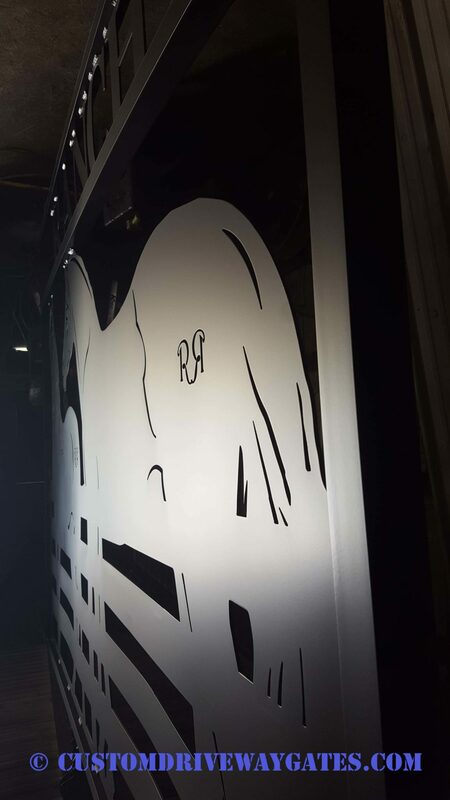 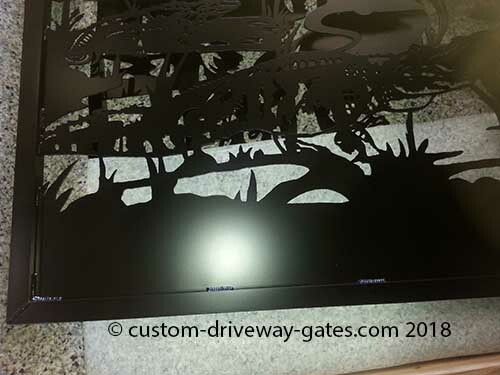 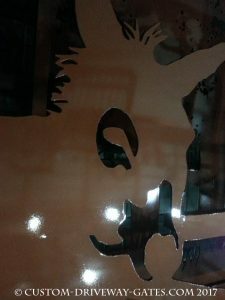 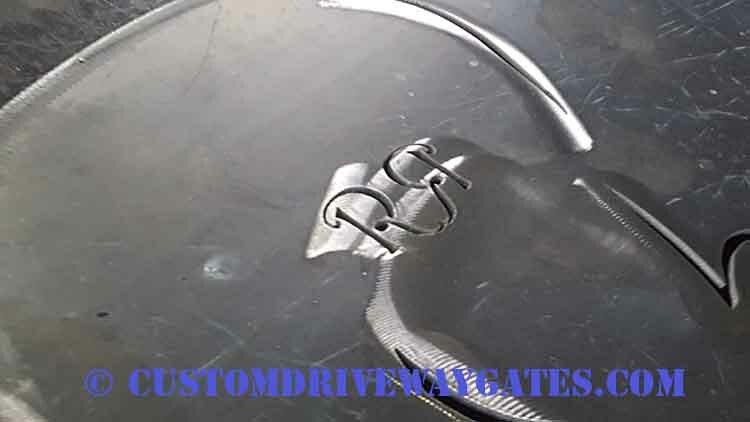 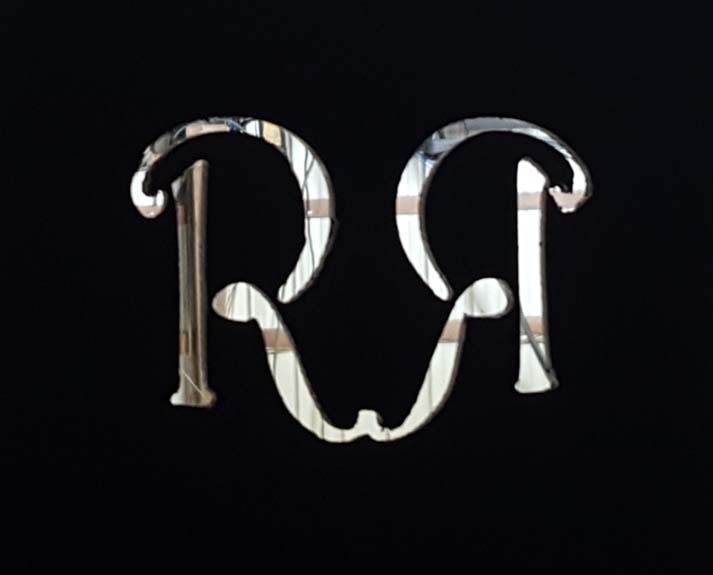 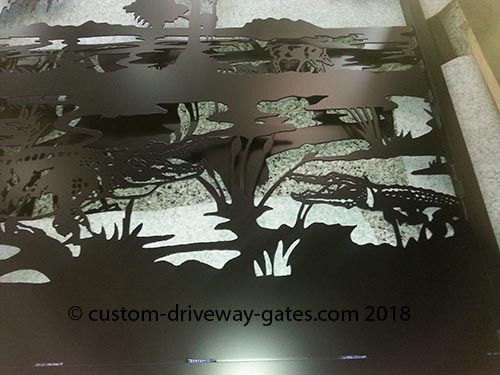 Also plasma cut into the 3/16″ thick aluminum sheet material. 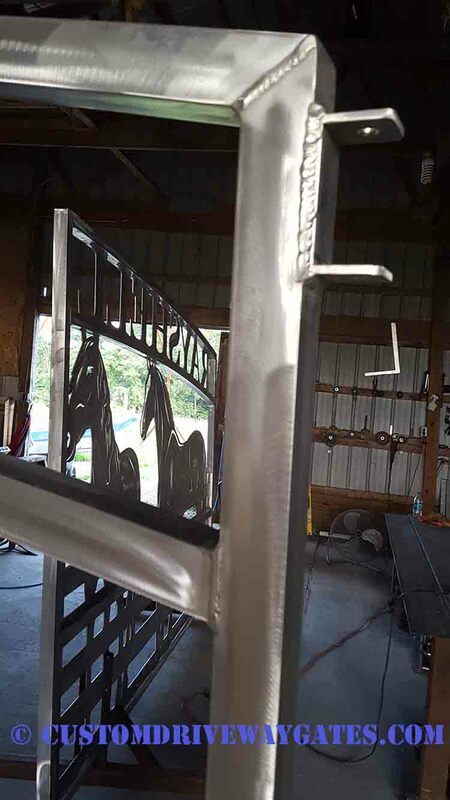 The powder coat finish will only be as good as the prep job. 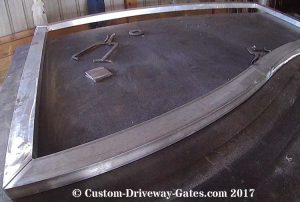 The entire gate has been brushed using zirconia flapwheels and washed using zirconium oxide cleaner/pretreatment. 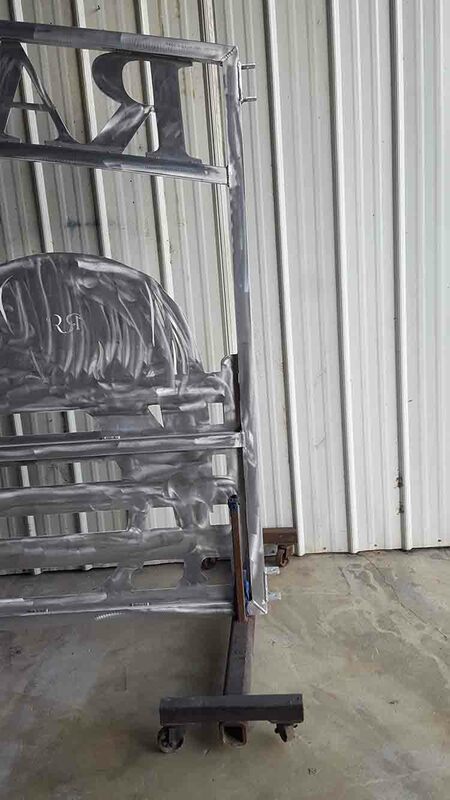 While both processes ensure long-term adhesion, the zirconium oxide also greatly enhances the corrosion resistance of the aluminum. 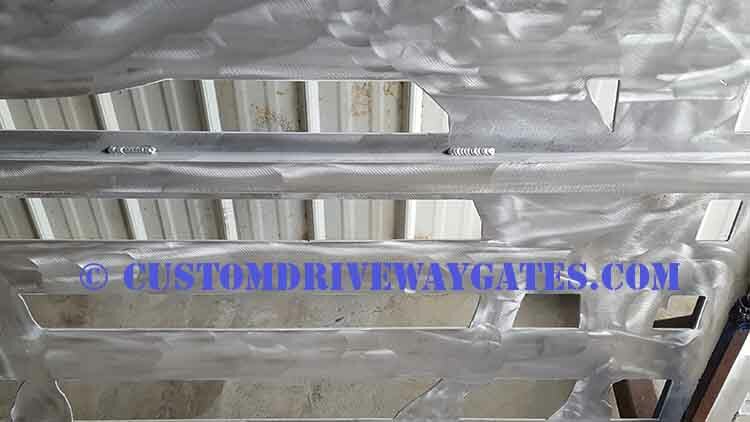 Being that Boca Raton is a tropical area there will be a great deal of moisture trying to corrode the aluminum so it is imperative to do a great prep job. 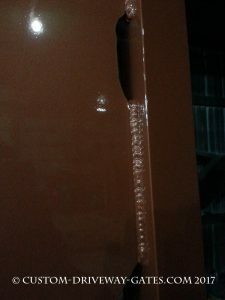 Shop cat discovers an air leak in one of the in-line air filters I just refilled. 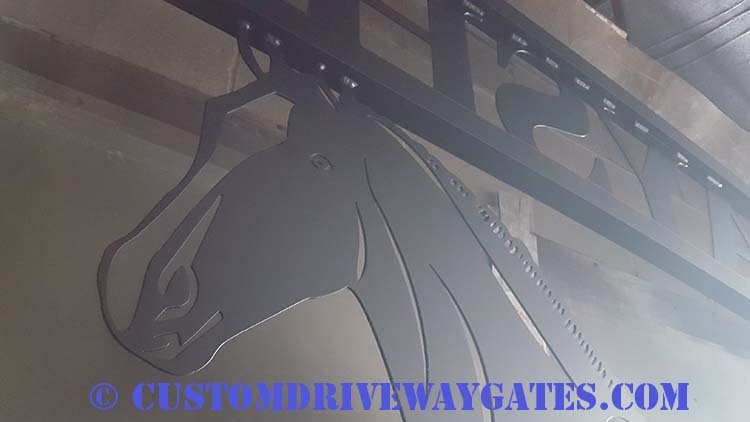 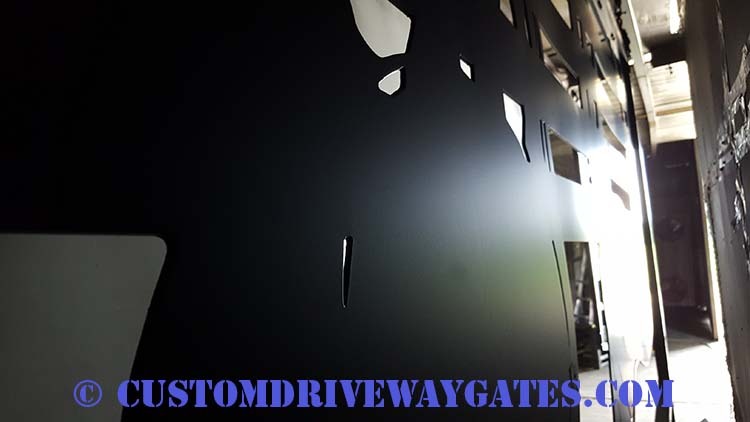 A two stage powder coat finish is far superior to the single stage finish offered by many gate manufacturers. 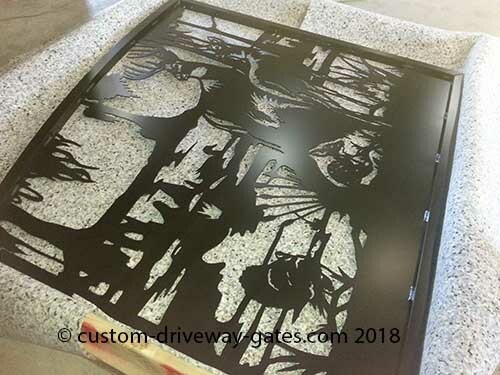 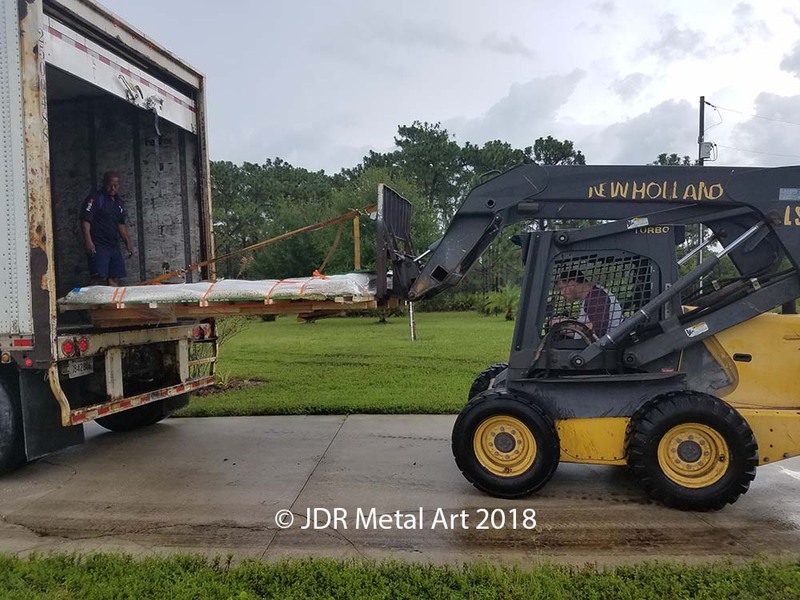 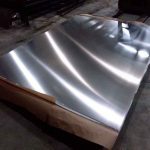 A single stage finish will often be applied too thin and will not “wet out” to fully cover the metal, resulting in pinholes that go clear down to the substrate. 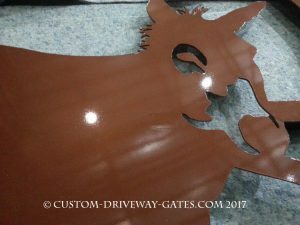 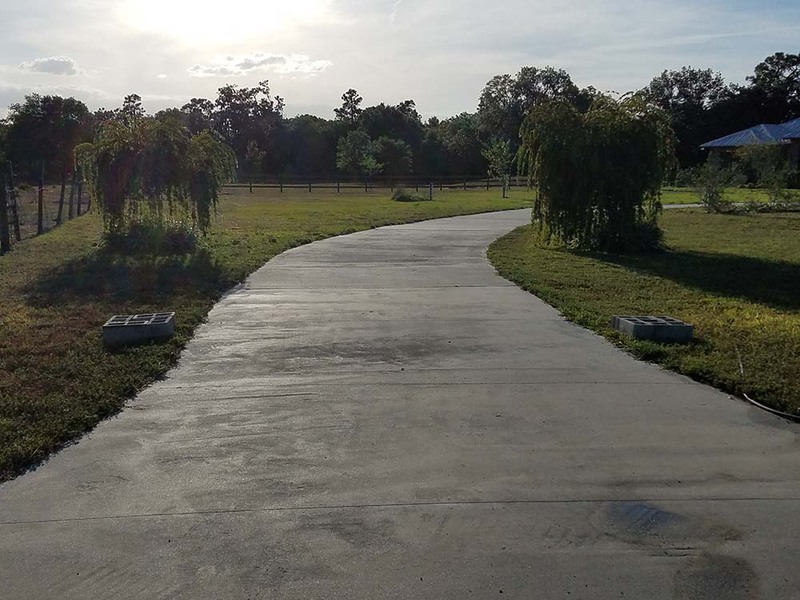 Such a finish is prone to be applied unevenly and will appear with a sandpaper texture (“tight orange peel”) while other areas are noticeably much smoother. 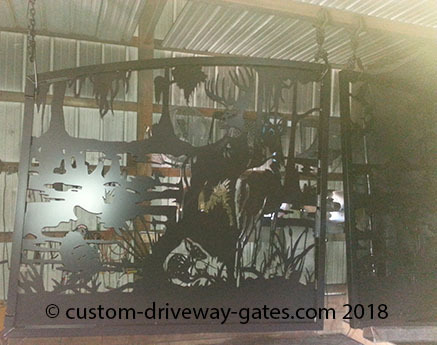 A two stage greatly enhances the final appearance of the gates. 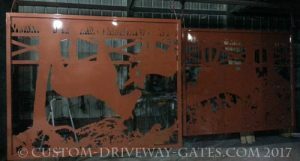 Powder coat can be applied far more thickly than paint without running or sagging. 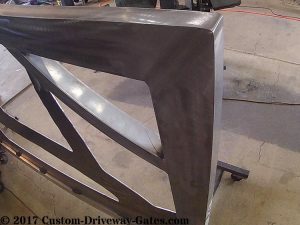 Minor imperfections in the metal surface that are noticeable after one coat of powder will be gone after the second coat. 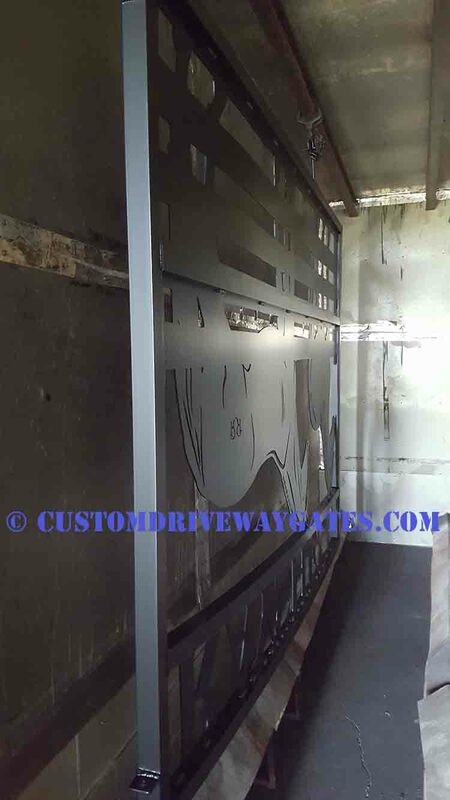 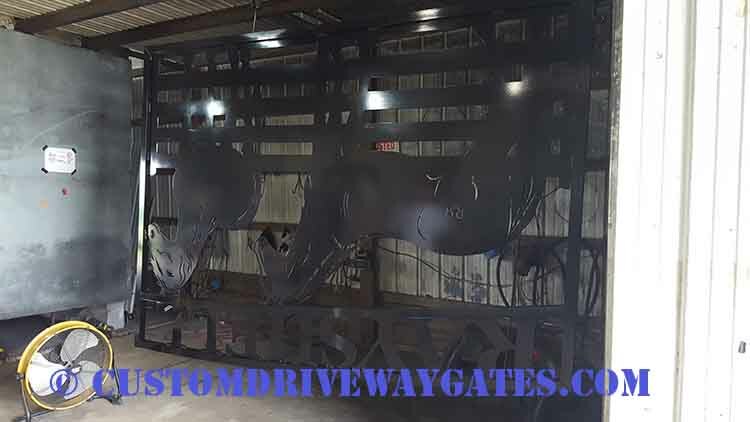 The first coat of powder gets electrostatically applied and then the gates get run up to a temperature of 250F in the powder coat oven…there the powder melts and becomes a gel coating. 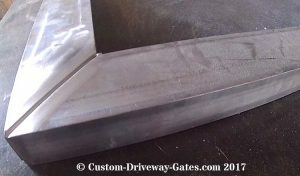 The gates come back out, the gel hardens. 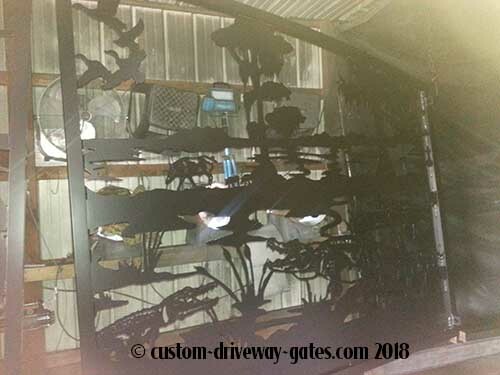 The gates look shiny here but will become a matte black after the second coat is applied and cured. 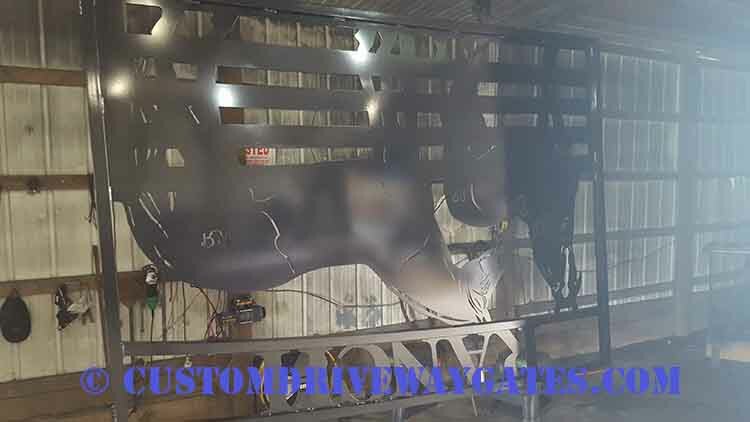 Now the next coat (the top coat) has been applied, the gates went back in the oven and baked at 400F for around 25-30 minutes. 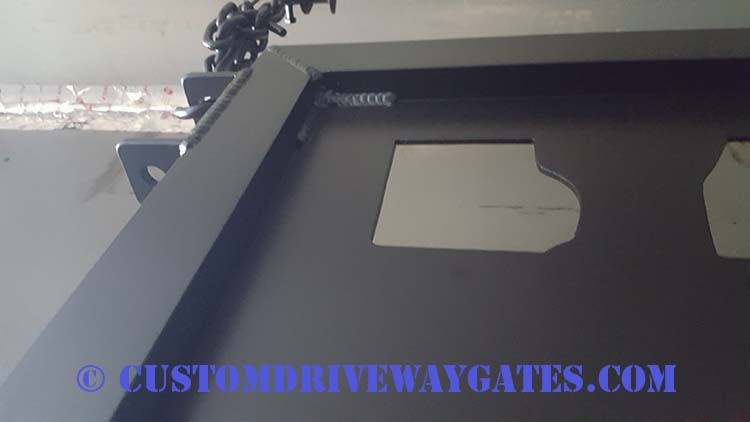 They are now a matte black. 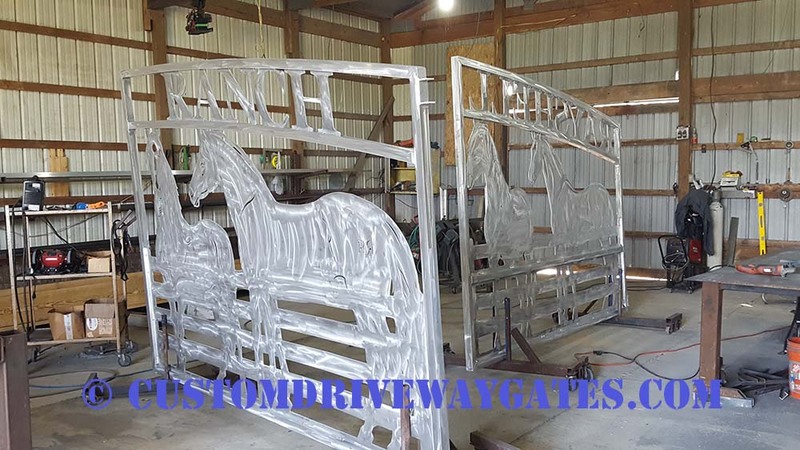 The gates are already fully cured and more durable than paint. 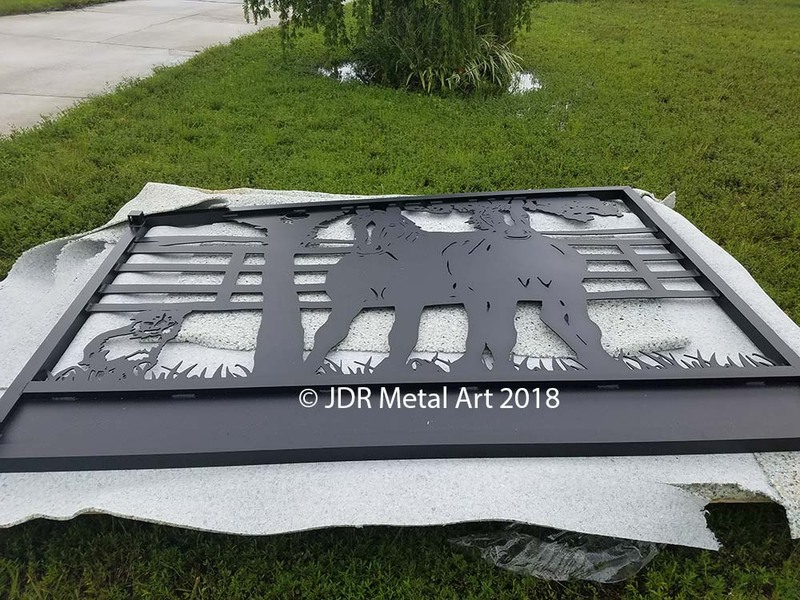 The “super durable” exterior grade powder coat I use excels at abrasion and chipping resistance, UV fade resistance and corrosion resistance, all of which will be in play from the time of installation in Boca Raton until many years thereafter. 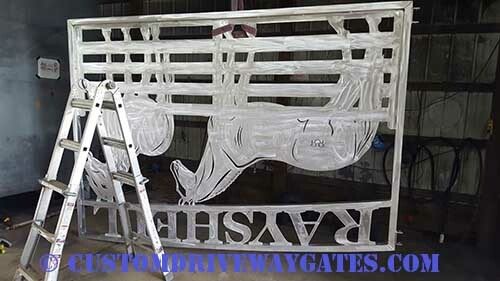 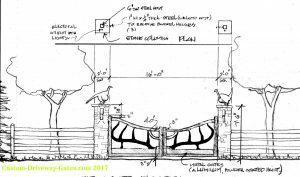 *Some of the pictures appear upside down because the gates are hung upside down to be sprayed. 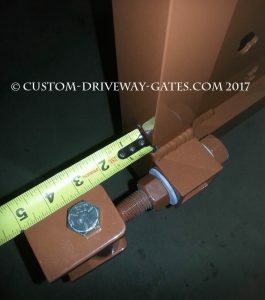 This rectangular tubing bar was placed on the back of the gate to accommodate an automatic gate opener with articulating arms. 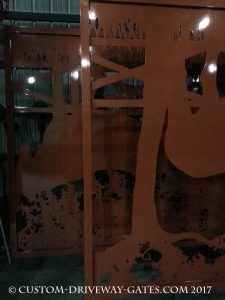 Same bar is in the picture below. 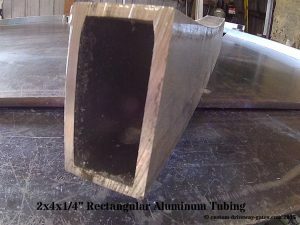 The brackets will likely bolt to the bar, which is actually a 2×1 rectangular tube with 1/8″ wall thickness. 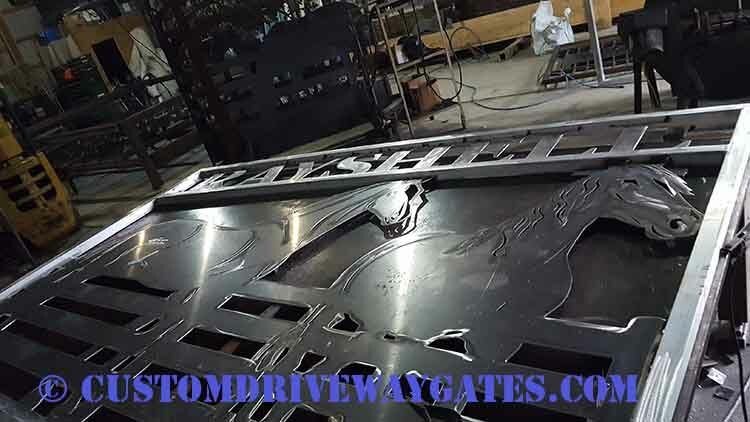 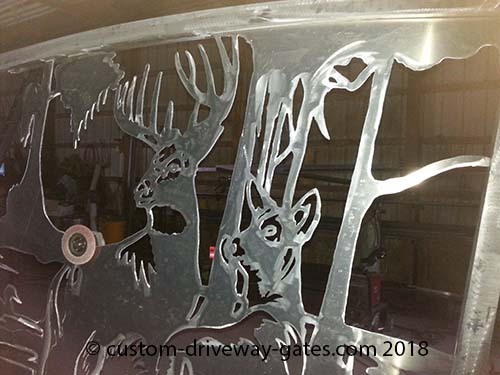 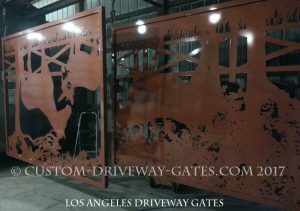 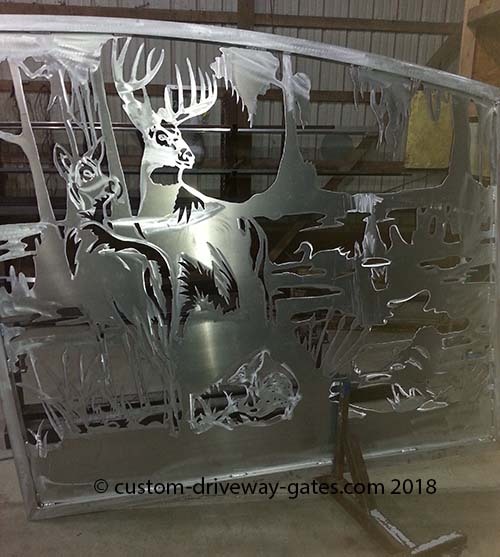 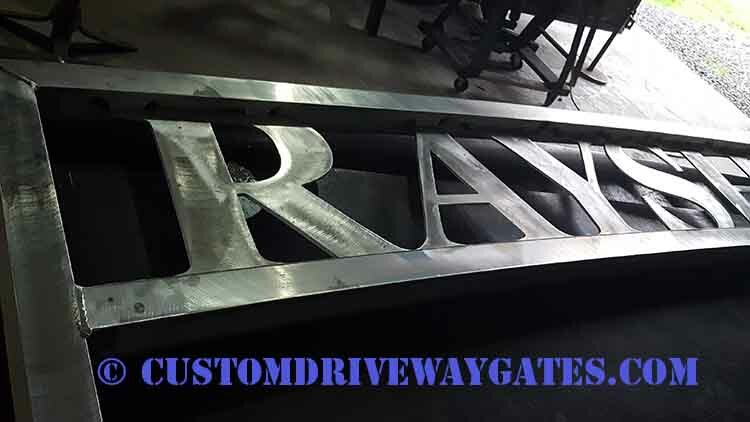 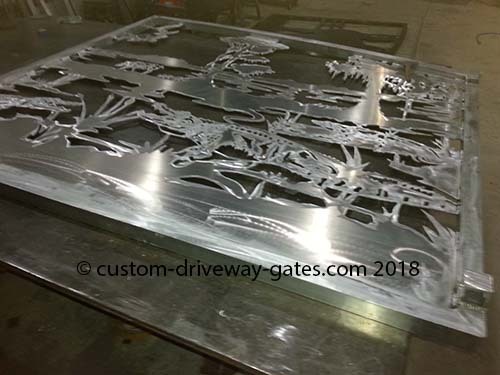 These recently completed driveway gates were sent to Los Angeles, California by JDR Metal Art. 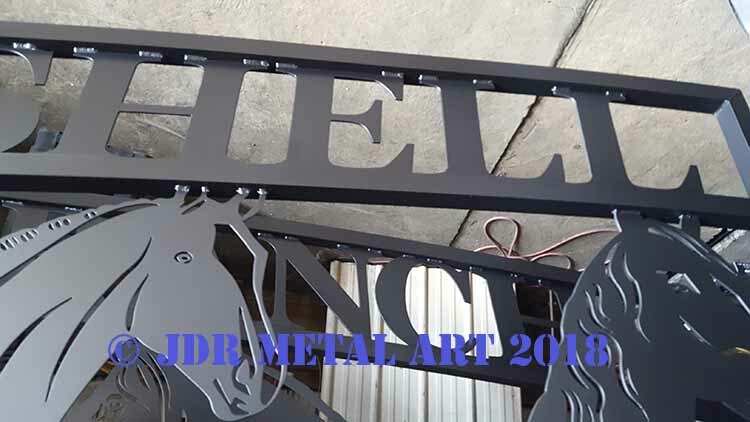 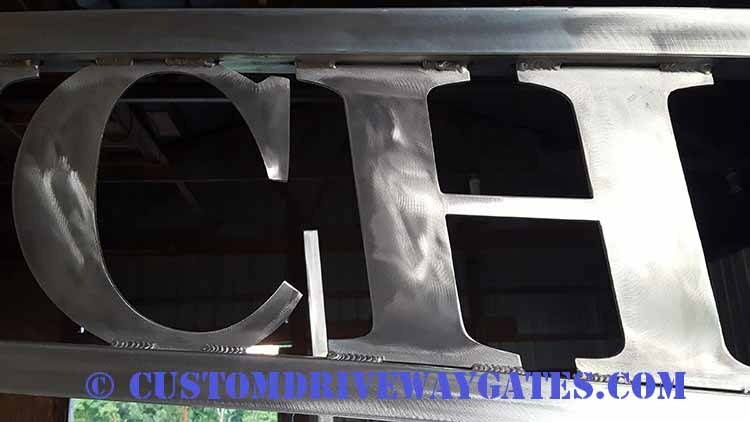 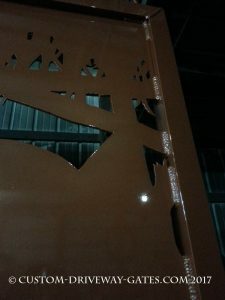 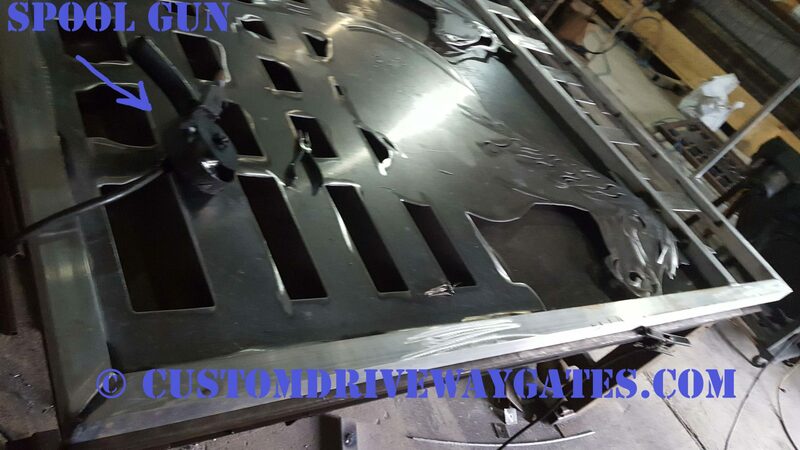 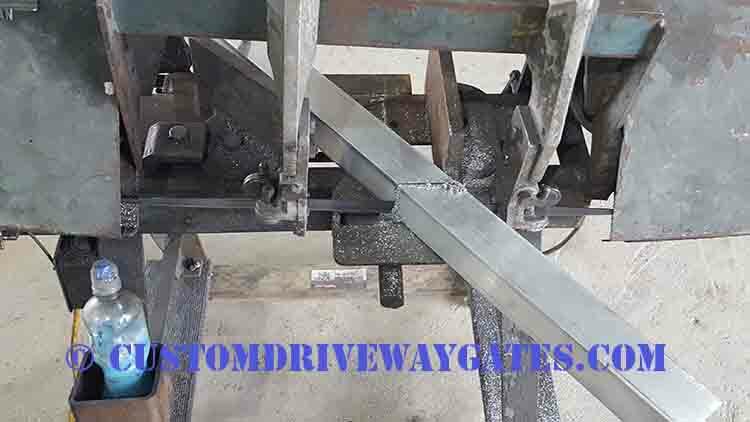 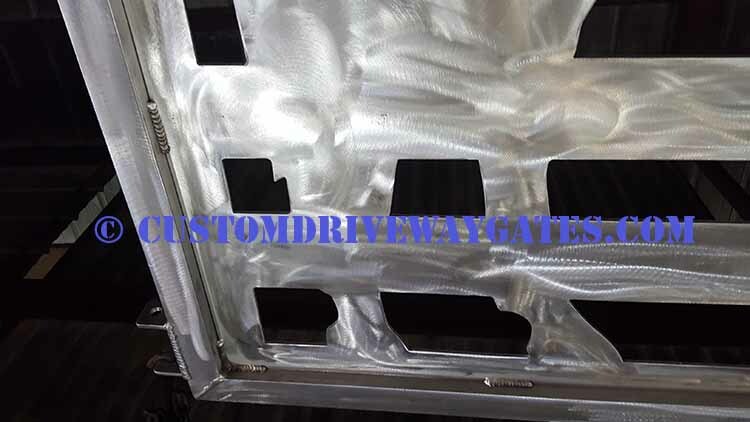 The gate design was provided to us by the customer; we provided the customer with the plasma cutting, the aluminum gate fabrication and the custom powder coating. 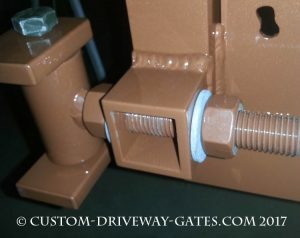 The gate hinges provide 1″ of adjustment per side and are maintenance-free. 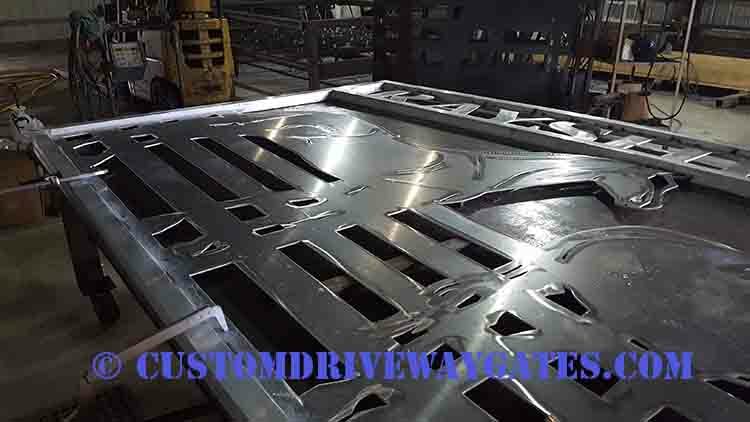 They’re ready to be welded to existing posts onsite.